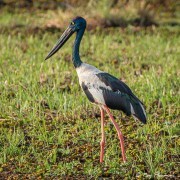 Pelican and Allies album include image galleries of herons, egrets, bitterns, cormorants, darters, spoonbills and ibises together with storks. 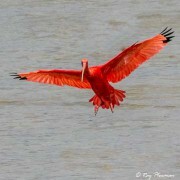 These are cosmopolitan birds found in all regions except the Antarctic, although each family may have species that inhabit only part of an ecozone or region. 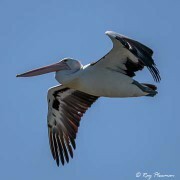 Photo essays and action photographs of pelicans and storks displaying hunting and feeding behaviour. Brief discussion on milky and painted stork hybridisation in Singapore. 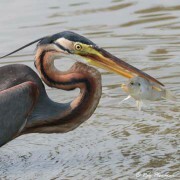 Three photo essays and action photographs of purple, grey and striated herons displaying hunting and feeding behaviour together with a fourth gallery featuring a few other species of heron. 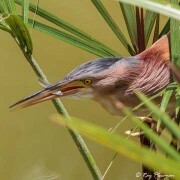 Two photo essays and action photographs of bitterns and little egrets together with a third gallery featuring hunting and feeding behaviour of other species. 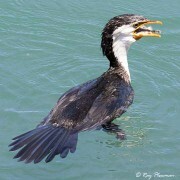 Two galleries; the first features cormorant behaviours including a short photo essay of little pied cormorant feeding, while the second gallery displays darter behaviour.